Galle Lighthouse is Sri Lanka's oldest light station dating back to 1848. The original 24.5-metre-high (80ft) lighthouse built by the British, was located about 100 metres (330ft) from the current site, was destroyed by fire in 1934. The original light was furnished with a glass prism lens floating in a bath of mercury (to reduce friction) and was powered by a weight driven machine. 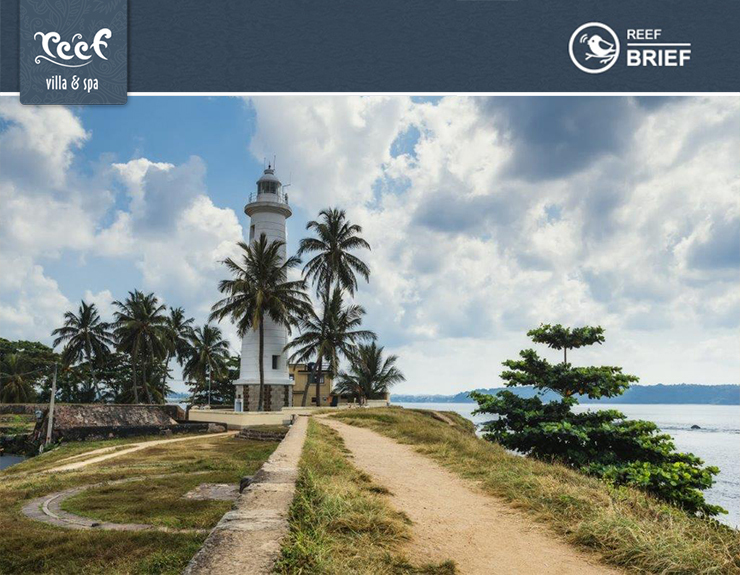 The existing 26.5-metre-high (87 ft) lighthouse was erected here in 1939 and is within the walls of the ancient Galle Fort, a UNESCO World Heritage site, just over an hour from Reef Villa & Spa.